Dealer Gordon Stewart: We used to be able to negotiate variations from the norm. Now lenders are less flexible about providing loans with longer maturities. The 72-month loan is falling out of favor. With loan defaults rising, risk-averse lenders are backing away from the ultralong-term loans that once enticed consumers. From Jan. 1 through March 15, 2009, 40.5 percent of car loans made through dealerships had terms of 72 months or more, reports the Power Information Network. That's down from 2008, when for the year 41.7 percent of the loans had terms of 72 months or more. And it's down significantly since 2006, when such loans peaked at 44.3 percent of total loans. Dealers and lenders have promoted extended loan terms to entice consumers into another vehicle with low monthly payments. But the gimmick is not without risk, and the credit crisis makes it more perilous. In a climate where delinquencies and defaults are rising, lenders say their greatest losses are on loans with maturities of 72 months or more. And dealers say extending the loan term kills future car deals. The practice lengthens the time it takes customers to build enough equity to trade in their vehicles. "You need those longer loans to get deals done, but it really affects customer retention," says Pete DeLongchamps, a vice president of the Group 1 Automotive Inc. retail group in Houston. "Ideally, you would like to have all your customers driving cars under warranty. Customer retention rates outside warranty terms are substantially less." In 2002, banks, independent finance companies and credit unions began promoting extended terms to compete with captive finance companies' 0 percent loans. A few noncaptives touted terms as long as 96 months. Many captives countered by pushing 72-month terms, and Toyota Financial Services introduced 84-month loans for customers with high credit ratings. Toyota Financial still offers 84-month loans, but those account for less than 10 percent of the loans it writes, says spokesman Justin Leach. Chase Auto Finance began cutting back on long-term loans in late 2007, says company spokeswoman Mary Kay Bean. "We were concerned about two things: our customers' best interest, because they benefit when they pay down the balance of the loan more quickly, and poor loss performance," Bean says. Eighteen months ago, My Auto Import Center in Muskegon, Mich. — which sells Toyota, Audi, Volkswagen, Nissan and Subaru vehicles — financed most of its vehicles with loans of 60 to 72 months. Now, the average loan is 48 months, says General Manager Scott Campbell. "Not only are the loans shorter," he says, "now lenders want more documentation verifying buyers' income and residency. You never used to hear of references being called, but it is very common now." 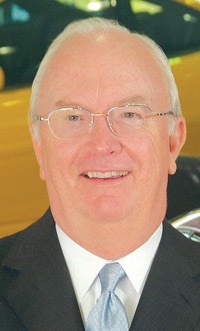 Dealer Gordon Stewart, president of Stewart Management Group, which has four Chevrolet dealerships and a Toyota store, agrees that lenders have placed stiffer restrictions on loans with longer maturities. "More banks are following stricter guidelines," Stewart says. "We used to be able to negotiate variations from the norm." Now lenders are less flexible, he says. And in a deteriorating economy, fewer borrowers qualify for loans of 72 months or more, says Bank of America spokeswoman Julie Westermann. Bank of America's average loan maturity dropped to 63 months this year from 66 months in the first quarter of 2008, she says. Although many payment-conscious consumers still resort to longer loans, some lenders and dealers say demand for extended terms is falling. Mark Pregmon, executive vice president of Sun Trust Banks Inc. in Atlanta, says consumers are on a "savings spree." Instead of extending the loan term, Pregmon says, buyers are opting for a base-model new vehicle or a used vehicle to reduce their payments. "In 2001 they did not stop spending," Pregmon says. "Their incomes were going up, their stock portfolios were going up, and housing values were going up. They wanted to buy bigger cars because they were going to get a bigger bonus next year. Now they are not willing to bet on the future."